Material&descripti on:AB grade cow split leather, cotton linging on palm, CVC lining on cuff. 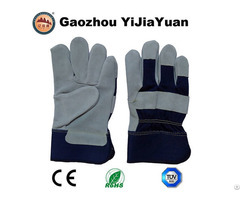 Our company special in leather gloves more than 10 years with high quality and competitive price. Also we have our own tannery and gloves factory, so we can offer you A, AB, B, BC, C grade leather gloves. Any requirements please feel free to contact me.I will offer you the best price. Business Description: We are professional labor leather gloves manufacture which located in "Gloves City"Gaozhou. 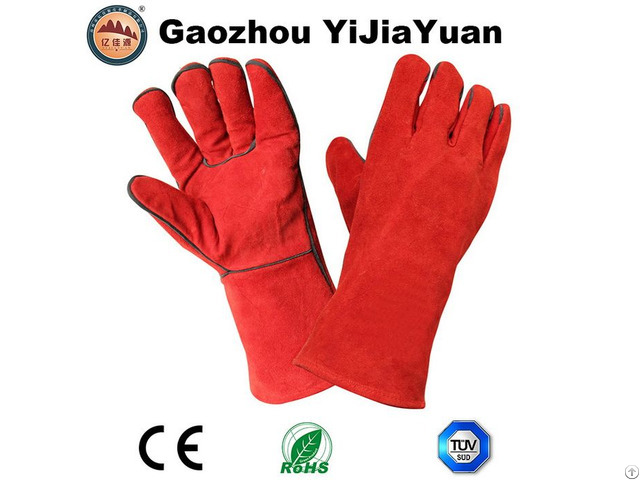 We are also import the raw leather and production the leather for gloves in our tannery,so we can offer our clients high quality products with competitive price.